"After years of renting, I finally was able to start my search for a home of my own. I met Connie Howerton a few years back as a friend of the family. She is a very enthusiastic and outgoing woman that always livens up the room when she’s around. So with me looking for a house, and her natural enthusiasm to find me my perfect house, the search began. Connie kept me informed of everything that was available and encouraged me to tour multiple listings. This helped us work together to establish what exactly it was I was looking for in a home. At times, I was like, Connie! Take a break! She was so dedicated! It didn’t take long before the perfect match of home and man came to fruition. Connie’s enthusiasm for her job and dedication to me personally made all the difference. The contract and negations went very smooth and Connie was always on top of all the details through its finality. Thanks Connie! 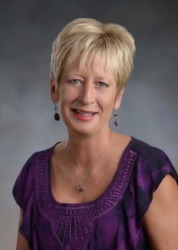 If anyone is looking for someone who will go the extra mile, Connie Howerton is a great realtor and now friend!" "Staying in my house tonight for the first night! Just wanted to take a minute and thank you for all your hard work and help to get me into this house. I just absolutely love it! Thanks again :)"
"Connie worked diligently to find us the perfect home! She was patient and heard all our needs- thank you Connie!" "My husband and I had already began the process of buying our second home from an individual when we called Connie to sale our first home. We made it clear that we wanted to sale fast to avoid 2 mortgage payments without "giving our home away". Connie conducted a detailed analysis of our home compared to others in our neighborhood and gave us a choice for what she thought would be a "fast sale" vs the "most value" for our home. She worked with us and even helped us locate an affordable electrician to do some repairs needed to sale our home. She kept us encouraged and communicated regularly. Our house was sold 8 days after listing!" "My wife and I were searching for a home for our daughter and Connie Howerton was our choice for a Realtor. Connie was the hardest and most efficient Realtor that we have ever worked with. She had at least 8 properties per day to show us and was totally knowledgeable about each location. We don't know how she did it but we were very pleased. We found a home, contracted, inspected and closed the deal! Connie was tireless in the pursuit, we got tired. Thanks to Connie for her professional service to us." "Connie was amazing, she knew of areas that I didn't even knew existed! She knew my tastes after the first few homes we looked at and she delivered on finding me my perfect first home." "I knew that she would work hard to help me purchase the right home... And she did! Her communication was always great and on time. There was no lacking when it came to communication, and I believe that to be the most effective tool. Connie went above and beyond to help me through out this process and to make sure that I was happy and got everything that I deserved in this home buying experience." "Connie was so incredibly helpful to us while we searched for our first home. We had a lot of requirements, and she did not stop until she found us the perfect home! I recommend her to anyone I that I hear is in the market for buying a house, and feel confident that she won't let them down with her skill and determination." Thank you so much for being such a wonderful realtor and friend. We learned a lot from you and had fun our adventure to find our dream home. We will keep in touch, come visit any time! "She is such an awesome person! Love dealing with Connie. She was always there, anytime I needed her. There are not enough words to describe how great she is. She treats you like family." "Nate and I are so happy to announce that the offer we put in on our first house got accepted Sunday evening. We are so happy to start planting some roots and especially to not be throwing our money away every month renting! We of course have a process to go through with inspections, closing and what not, but keeping our fingers crossed that everything goes well so we can move soon. Giving all of our thanks to our Lord Jesus and the wonderful Connie Howerton for making this happen for us! Pictures to come soon of course smile emoticon"
"Only took her showing us 3 houses to know exactly what we were wanting. Kept in contact throughout the whole purchasing experience. Would definitely recommend her to everyone." "Connie did a great job with our home buying experience. She was persistent and helpful and we built a friendly relationship with her along the way. I have already taken the responsibility of giving her a referral (of which I believe also worked out well) and would be happy to do it again!" "Connie was very helpful. She was very considerate of my needs and always answered my questions promptly. She knows, and loves her job, and it shows. It was up in the air on whether or not I would be able to purchase a home. It was all because of Connie recommending me to mortgage masters, that I was able to do it. She is very friendly, and reliable. I will always be thankful for choosing her as my realtor." "Connie was wonderful from start to finish! She went above and beyond to make sure we found the perfect house. She is so positive and knowledgeable, it made us feel confident we made the perfect choice picking Connie to be our realtor. She will do anything for her clients!" "Well here comes the next chapter of this wonderful life !!! Thank you Connie Howerton for being a wonderful realtor and an even better friend!!!!" "Thanks to Connie Howerton and F. C. Tucker Emge Realtors got a great house. Connie did everything possible for me to get this house. Even when I was not sure it would go thru she stayed positive all the time and really helped me get thru this. She is the best realtor you could get. Thank you again Connie"
"Well today was very emotional, I cried with my Family, I cried with my realtor, I cried with the sellers. I can not tell you what an amazing team my realtor, Mrs Connie Howerton and my Loan Officer, Mr John Rickert have been, We sat down at the close table and once again our Loan Officer threw us for another surprise when we signed on the dotted line. However our surprise did not end there, our realtor went above and beyond surprised us with FaceTime with our Loan Office who is out of Louisville ?? okay so I held it together pretty well until then, tears and emotion completely took over. WOW! God blessed us with 2 people who not only did everything in there power to make this easy but they seriously became like family, never have I ever heard of a Realtor or Loan Officer having the relationship we have. "I am very demanding as someone paying for a service and connie went above and beyond to do everything I asked and expected while selling our home. I would definitely use her in future and recommend her to anyone I know that is searching for a realtor." "My husband and I just purchased our first home from Connie Howerton. She went above and beyond for us. She was recommended to us by Jamie Herman at ONB (who I would also absolutely recommend!) and not once did she leave us guessing about the home buying process. She made everything as stress-free as possible and I honestly don't know what we would have done without her! She even got my husband and I a little gift to congratulate us on our new home and got our 4 year old daughter an adorable little gift bag that she loves! We had been warned that buying a home is one of the most stressful things you can go through, but I'm guessing the people that say that didn't have a realtor like Connie Howerton! Thanks again for everything, Connie!" "I want to give a huge shout out to this lady for being so awesome and making the process of selling our home go smoothly. Thank you Connie Howerton, you are truly great at what you do!! (And no she did not pay nor bribe me for this post ?? " "Most people hate going through the process of buying a house, I can say with out a doubt Connie made it very fun and personable for my family! No matter what she always made time to show me a house I was interested in. She would even allow me to see houses she knew I wouldn’t like (at this time we had such a great relationship she already knew my taste) she wanted it to be our decision!! My husband and I had such crazy schedules so sometimes she would show us a house twice and let me just say we are in our dream home Now only because she stopped what she was doing to show us our house 5 times!!!!! Yes I was drawn to this house. I wanted to see it in the middle of a storm, after it had rained a lot, to show my son’s grandparents, again after the rain and then again to ask God if this house was for us..... Not once did she ever get annoyed but always greeted me with excitement like she was showing me a new house every time!! My realtor wasn’t just any realtor she built a relationship with us I never expected from a realtor! Thank you Mrs Connie Howerton!" "Derek S., Connie your an amazing person, thanks for all your help! Recently, I received a referral for a couple that lives in an apartment and had just started the search to purchase their first home. He is a veteran and just separated from active duty as a U.S. Marine, having served five years, including two tours in Afghanistan. Unfortunately, they were not able to secure financing. Disappointing? Yes. But we don't give up, we look at other options. That same day, I received a call from an individual looking for help to secure a renter for their home. The criteria of this house was an exact match for my veteran client. Timing is everything. I shared the contact for the house that would be available soon. Viola! They chose the house as their new home for at least the next year while he continues his education utilizing the GI Bill. they are very pleased to have a new place to call home. He served and protected our country for five years. I am honored for the opportunity to help those who have served our country. "Local Knowledge, Process Expertise, Responsiveness and Negotiation Skills.Connie is all of the above and so much more, honest, up front, dependable, and great skills in the profession she has choosen. She is one of the people that answers her phone when you call and knows her market like no one else, respond with answers to your questions and gets the job done. Connie has proven herself time after time. Keep up being a great person and new family member to us, thank you for being there with us on the journey." "The best way to describe my realtor Connie is outstanding, dedicated, & honest. She takes her job very seriously & wears it as a badge of honor. Her bottom line is not the highest comission, it is finding what best suits your needs. She not only reviewed homes listed by agents but she looked on Zillow daily. We just closed on our dream home July 18, 2018 & are more than pleased. " "We recently sold our house with Connie. She was extremely outgoing and optimistic. When it came to repairs after the inspection, she walked me through it all and helped me contact the contractors. I always knew I could count on her to calm me down when I was feeling overwhelmed!" "Connie is bright, cheery, professional and a go-getter! I would work with her a hundred times over! She had almost daily contact to keep us updated on the process, worked with us, the owners, our lender to ensure all steps were moving as smooth as possible!" "Connie Howerton absolutely gave us 100% on the sale of our home. We had several negotiations with the buyers and she was on top of it to the end, everything went so smoothly and she took the stress off of us. Her communication as a realtor has been the best we've ever experienced hands down! Not to mention the house sold within one day"
"Can’t thank you enough for all the hard work you put in to make our dreams a reality! "